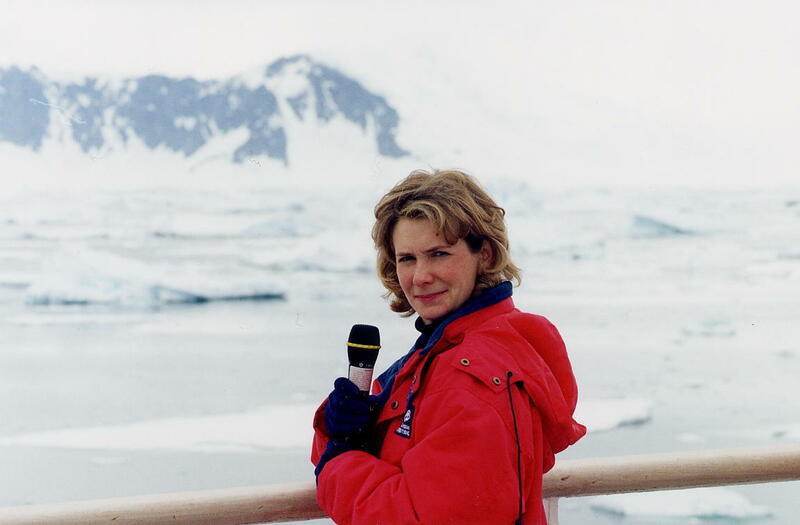 Kelly Watkins in Antarctica. What language do penguins speak? What university teaches more languages than any other in the world? My alma mater – Indiana University (IU). IU Provost & Executive Vice President, Lauren Robel, was speaking at an alumni event I recently attended. She said that “Global Engagement” is one of three important keys for Indiana University. Provost Robel shared statistics to prove how global the school is. Here is just one – Indiana University teaches 71 languages. “Avestan” is an extinct Eastern Iranian language related to Old Persian and Sanskrit. “Gujarati” is an Indo-Aryan language spoken by about 46 million people in certain Indian states. The “Wolof” language intrigued me because, at first glance, it appeared to be “Wolf.” Wouldn’t it be cool to talk to wolves? (If Kevin Costner can dance with wolves, why can’t I talk with them? But, I digress.) It turns out that “Wolof” is a branch of the Niger-Congo language family. It is one of the SIX national languages of Senegal. You can understand why they misunderstand. And, you can quickly see why there’s conflict. How many languages does your organization speak? Don’t just count the obvious ones – Russian, Arabic, English, Chinese, …. What about the functional ones – Marketing, Finance, IT, Accounting, and Sales? Are your departments sharing information and speaking across cultures, or are they operating alone in “silos” – hoarding all the resources? What is your organization doing to create a global language culture? Also, I would love to hear YOUR stories (probably humorous) about lack of communication. Please comment below. I’m proud to serve on the Board of Directors for Indiana University Kelley School of Business Alumni Association.